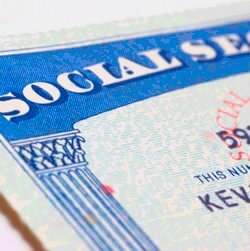 It’s official: the Democrats are coming after Social Security and Medicare. How refreshing that all the backroom scheming and political conspiring is finally out in the open. Before, the corporate elite had been having this conversation in private, via right-wing think tanks and business journals. Now, mainstream media is promoting these ideas, including the Democrat’s media mouthpiece — The New York Times. “To truly tame deficits will require serious health care reform[Obama’s plan slashes Medicare], the sooner the better. Other aspects of the long-term fiscal problem — raising taxes and retooling [reducing] Social Security — must take place in earnest as the economy recovers.” (February 7, 2010). Later the article is clearer: “And then there is Social Security. What is needed is a combination of benefit cuts and tax increases that preserve the program’s essential nature.” Of course those surviving on Social Security already live in poverty and cannot afford “benefit cuts.” Also, to make a dent in the deficit, benefit cuts to social security will have to be quite substantial, to the point where the program’s “essential nature” will be destroyed. The statement concludes: “We urge you to act decisively to prevent the creation of such an extraordinary and undemocratic budget commission.” (Huffington Post,January 20, 2010). However, it is not enough for only the leaders of unions and community groups to pressure the Democrats over this issue, especially when Obama has made it clear that he prefers the advice of Wall Street CEO’s. Unions and progressive groups must educate and mobilize their base to confront both the Democrats and Republicans over the protection of Medicare, Medicaid, and Social Security. None of the major unions who signed the anti-commission statement have information about this plot on their websites; none are organizing their members to confront this plan — a plan that the entire political establishment is in agreement with. Nor are unions seriously proposing other ideas to fix the deficit, and the fixes are obvious. The military budget must be gutted. Obama plans to spend over $700 billion in 2011 for the military — both Democrats and Republicans are fine with this. Most Americans are not. More importantly, taxes on the rich need to be dramatically increased. The nation’s tax structure changed drastically under Reagan and the two Bushes, with taxes on thewealthiest Americans dropping from 70 percent to the present day 35 percent. Under Eisenhower the richest Americans paid 90 percent of their income towards taxes. The loss in revenue that resulted from these giant tax reductions is one of the major contributors to the current deficit. It must be reversed in order to save Social Security, Medicare and Medicaid. This is the solution that working-class Americans would prefer, rather than have their Medicare, Social Security, and public education destroyed. It is up to the union movementand community groups to unite and mobilize their members and all working people to demand this as a solution to the deficit and Great Recession. Without a massive mobilization with rank and file participation, the corporate elite will continue to have their way unchallenged, with more bank bailouts and more war. A coalition of progressive groups with clear demands to address the recession will have the backing of the majority of Americans, while being resisted adamantly by both Democrats and Republicans.